Head for the heart of the Lake District National Park, at the perfectly placed Rothay Manor 4* - hailed by the Evening Standard as one of the best hotels in the Lake District. The country house retreat is a Grade II listed building and boasts exquisite fine dining, uniquely decorated guestrooms and landscaped gardens. Our members can choose between a Classic or Superior Room, and will be treated to a complimentary dinner on the first night of their stay. 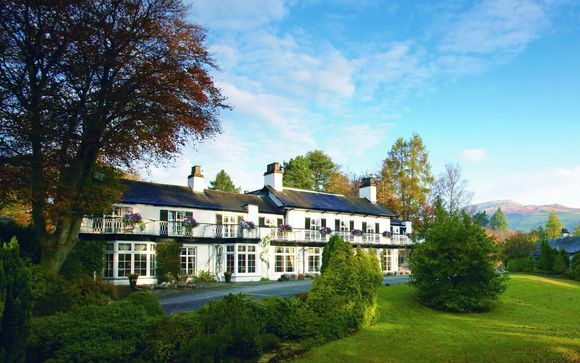 Rothay Manor 4* is a country house near Ambleside in Cumbria, right in the heart of the Lake District National Park and at the head of Lake Windemere. Everything - from the lake itself to the town centre - is a pleasant stroll away, whilst the landscaped gardens and western outskirts location allows for a remote feel of intimacy. Holidays and breaks have been taken in the Lake District for time immemorial, due to its beautiful scenery and a great literary and cultural heritage. 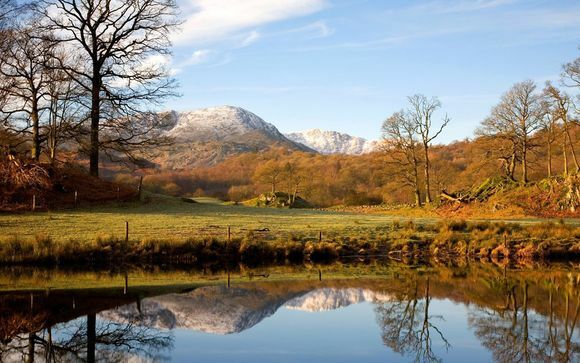 The area boasts many places to visit and explore so there will always be a wide variety of activities to take part in, with its Beatrix Potter and Wordsworth connections, picturesque villages and spectacular views. There’s so much to do, whether you’re a person who likes a lot of activity or someone who’s happy just relaxing. Hailed by the Evening Standard as one of the best hotels in the Lake District, Rothay Manor is a Grade II listed building with a breathtaking location. Built in 1823, today it is a historic family-run country house offering guests a relaxing retreat from the bustle of everyday life. With a classic, cosy vibe, the hotel boasts excellent fine dining served in a majestic dining room, 19 unique guestrooms, and picture-perfect gardens for easy strolls. 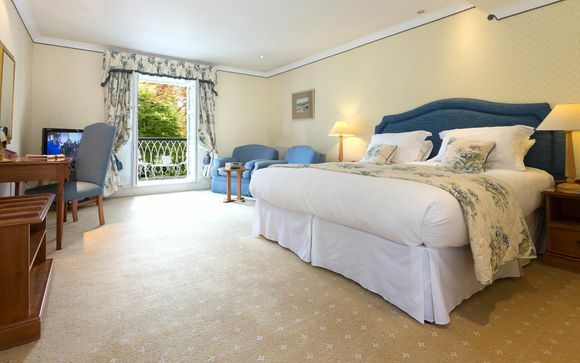 A smart, privately owned, country house-style hotel with a serious-dining restaurant and relaxing, understated bedrooms. Each of the Classic Rooms at Rothay Manor are individually decorated and feature large bathrooms with separate baths and showers. 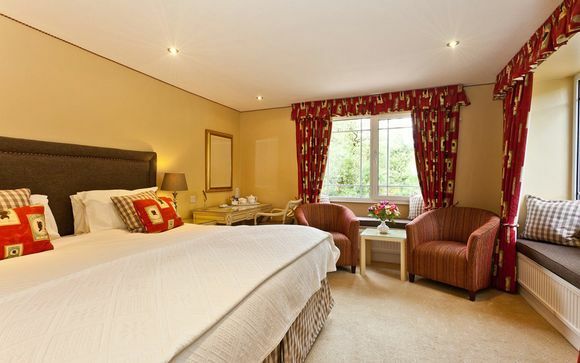 The Superior Rooms at Rothay Manor offer generous accommodation in beautiful and wonderfully bright rooms. The majority of rooms have balconies gazing out to the charming gardens or even their own private garden. 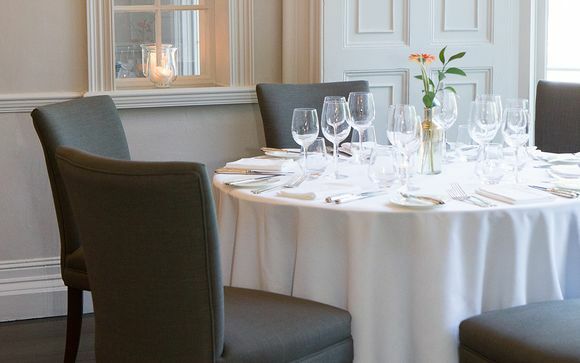 Experience dining at its finest at Rothay Manor, renowned for its grand dining room and award-winning culinary offerings. Enjoy a convivial dinner or romantic evening here, filled with freshly made, innovative dishes with exquisite touches. Be sure to also indulge in Rothay Manor's Afternoon Tea and savour a mouth-watering selection of sandwiches, homemade scones and a peppering of little desserts and cakes.